Firstly the thing I love most about these yoghurts, aside from the fact that they are dairy free, is that they are also totally free from added sugar. They do contain xylitol which is a low GI naturally derived sweetner though, but it’s low calorie and natural so I’m ok with that. They’re also gluten free (they contain tapioca starch but nothing else), nut free and soya free. To top it off they’re also probiotic, so all in all they’re just a little pot of amazingness! 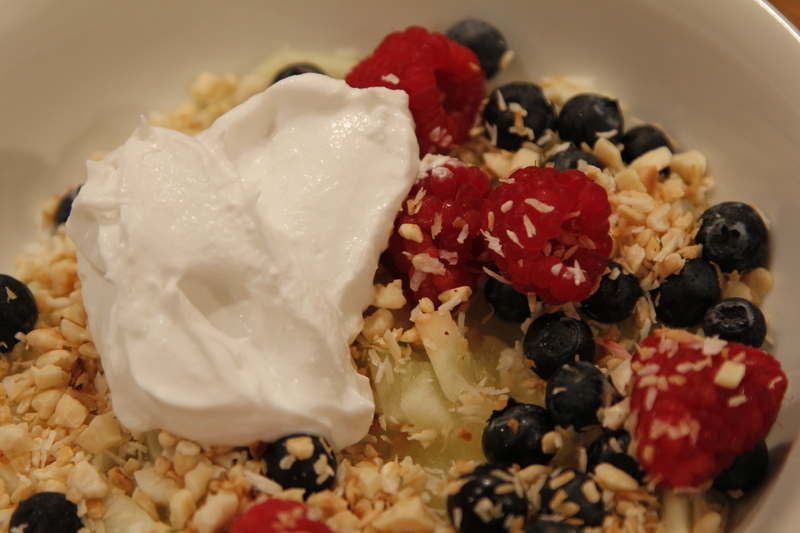 My favourite comfort dessert of stewed apple, berries and toasted nuts and coconut with some natural CO YO! Yum! The fruit flavours are all lovely. I think my favourite is probably the mixed berry but they’re all good. The layer of fruit is just about right – not too much, not too little. 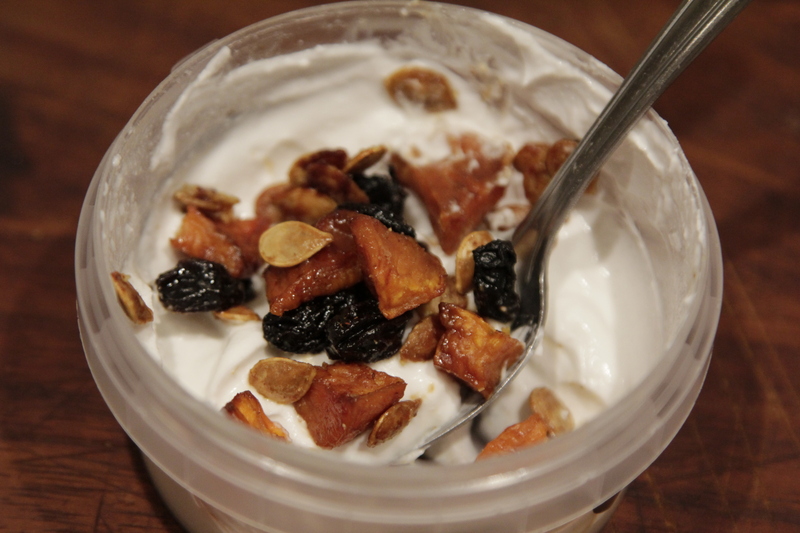 The fruit tastes lovely and natural, without that fake flavour you sometimes get in layered yoghurt products. Stir it in to the yoghurt for a yummy full flavoured treat 🙂 Again this is great as a snack or with your breakfast. I particularly like the mixed berry one sprinkled with some roasted hazelnuts as a dessert (or mid afternoon snack!). The raw chocolate one is joint favourite with the mixed berry. This is simply divine. 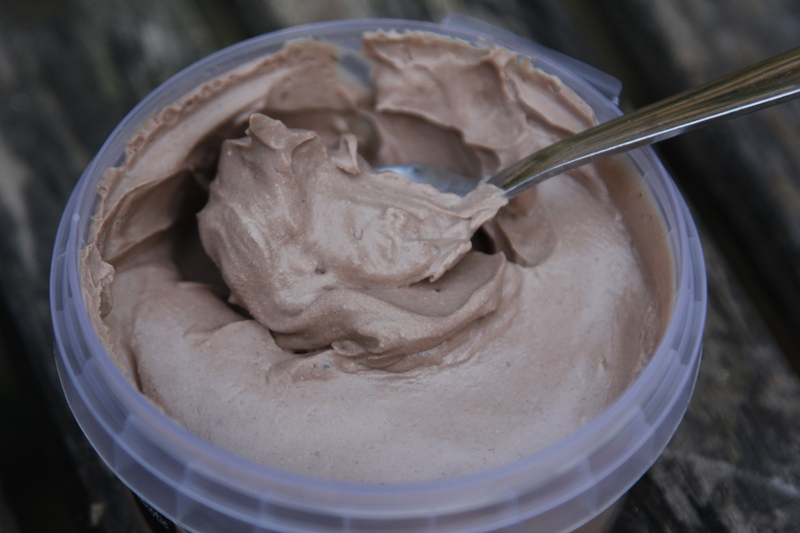 It tastes like an indulgent chocolate mousse and really hits the spot if you’re having a chocolate craving. These yoghurts are full fat, but there is increasing evidence that the fats in coconut products are “good” fats not bad so consuming more coconut-based products could actually bring you health benefits. In fact coconut is rich in medium-chain fatty acids which are processed by the body differently to other saturated fats and there is evidence that they help with maintaining weight without raising cholesterol. So if you’re worried that these yoghurts might be high in fat, then I really wouldn’t worry too much. We need fats in our diet, fat isn’t always a bad thing, and if you’re going to consume fat then this is a very good way to do it! The product is all natural and also delicious! This entry was posted in comfort pudding, gluten free, low gluten, snacks, treats, vegan and tagged chocolate recipes, Co Yo, coconut yoghurt, comfort food, Coyo, dairy-free dessert, gluten free, healthy foods, healthy snack, ocado, vegan, vegan dessert, vegan recipe, vegan recipes, vegetarian, vegetarian dessert, vegetarian recipes by Dr Nancy P. Bookmark the permalink. 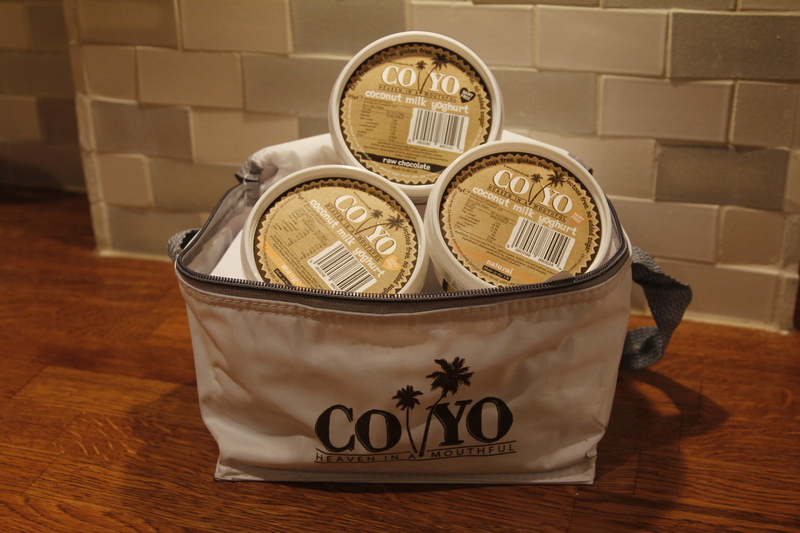 CoYo is definately heaven in a tub!